Auctiva's FREE Scrolling Gallery will enhance your listings. 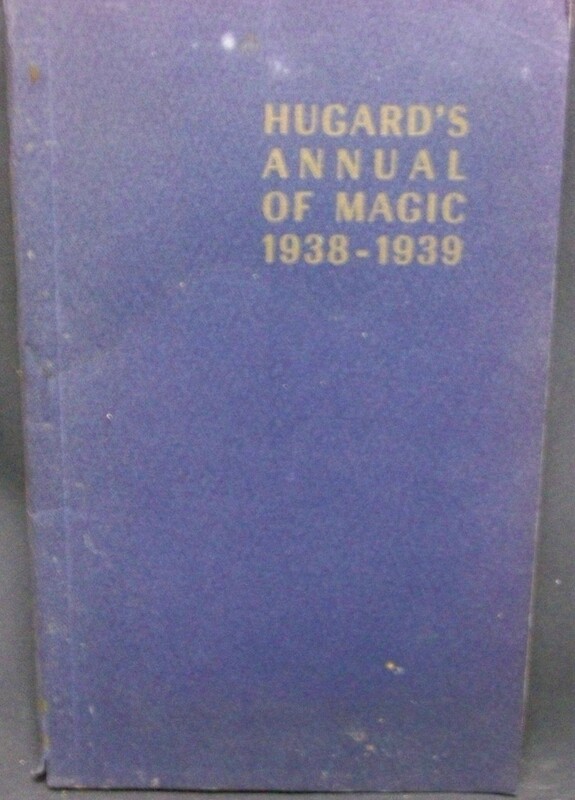 Hugard's Annual of Magic 1938-39 by Hugard, Jean Max Holden, 1939, unstated edition Staple bound in good condition. Text is clean and unmarked, binding tight, all staples and pages in place nothing loose, some tanning of pages due to paper used and age. Cover is clean and does have some damage at bottom of spine otherwise clean. This is an annual of what was new in magic in the 1938-39 years. Tricks covered include card, flourishes, coins, silks, balls, cigarettes, Chinese rings, stage tricks and illusions, gimmicks and much more. B W illustrations, 137 pages, several pages of ads at rear of book. Powered by Turbo Lister The free listing tool. List your items fast and easy and manage your active items.